215° pivot action maneuvers in compact areas. Rugged 5500 lb. capacity. Spring-A-Matic handle self returns. Safety designed loop handle includes neutral position and fingertip release. Three position hand lowering control. One piece formed steel "C" channel tapered, reinforced forks. Leak-proof pump. Hard chrome plated ram and piston. Tapered fork end and pallet entry rollers. 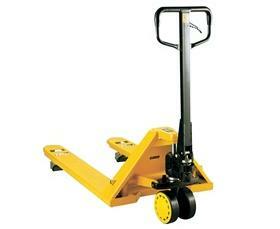 Polyurethane wheels and rollers for a quiet and smooth use. Model# HEZ27x48EZVS/W is our steel wheel pallet jack. 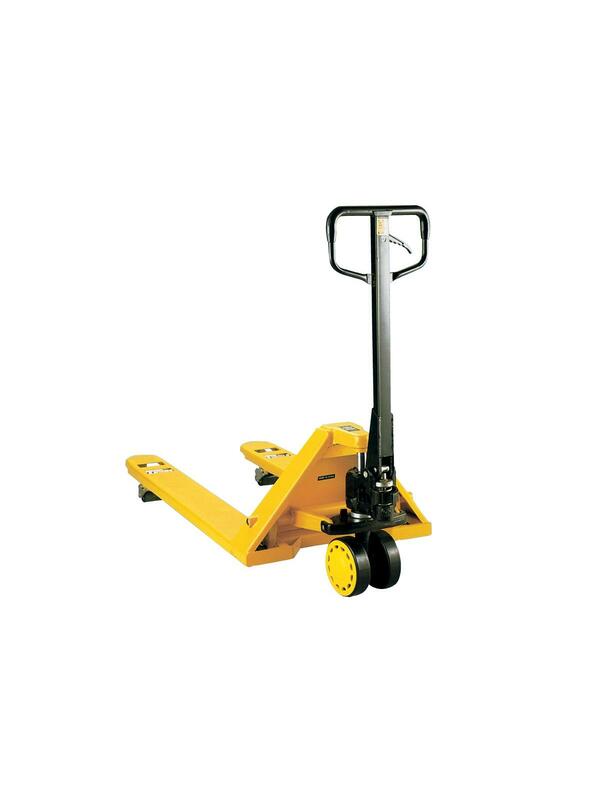 This unit has steel steer and load wheels. FOB Shipping Point.